Titan Comics has announced the return of the Fighting American, Jack Kirby and Joe Simon’s 1950s commie-punching patriot. They’ve tapped Gordon Rennie (2000AD, Starship Troopers) and Duke Mighten (Judge Dredd) to essentially pick up right where Kirby and Simon left off in 1954, at the end of the comic’s seven-issue run. 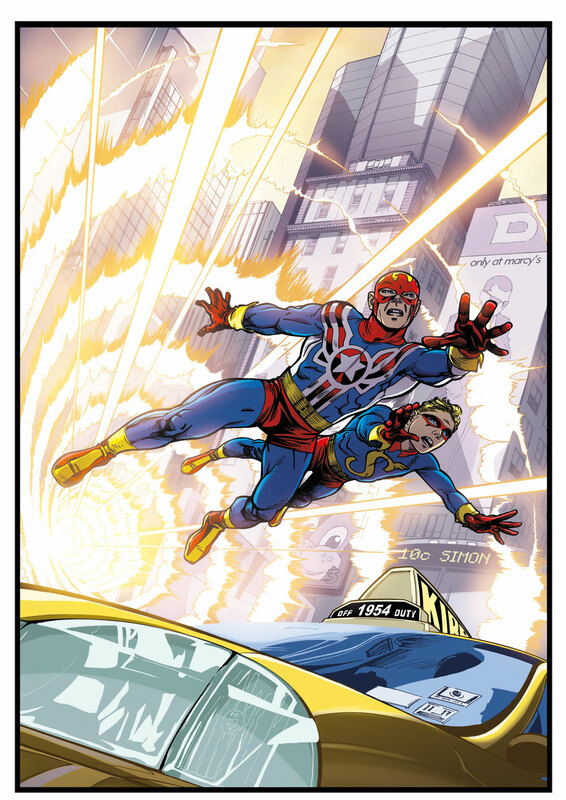 Fighting American was actually creator-owned by Kirby and Simon. After the initial seven issues were published by Prize Comics, Fighting American faded away for about a decade, until Harvey Comics published one additional issue in the 1960s. The character was revived in the 1990s at DC Comics and Rob Liefeld’s Awesome Entertainment, and in 2009 Dynamite announced a series that never made it to market due to licensing issues. Titan says the revival will come out later this year.